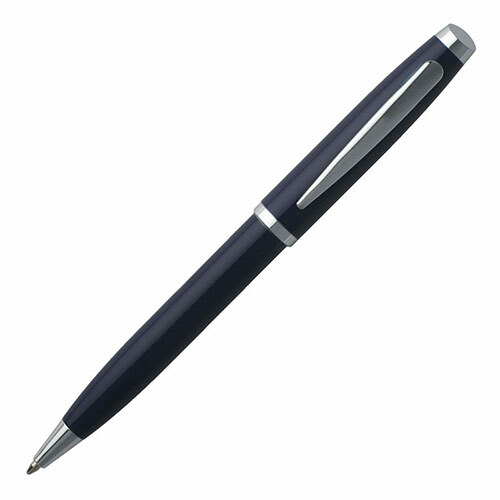 These stylish 'Porto' ballpoint pens have a dark blue lacquer finish on the body with stainless steel fittings. 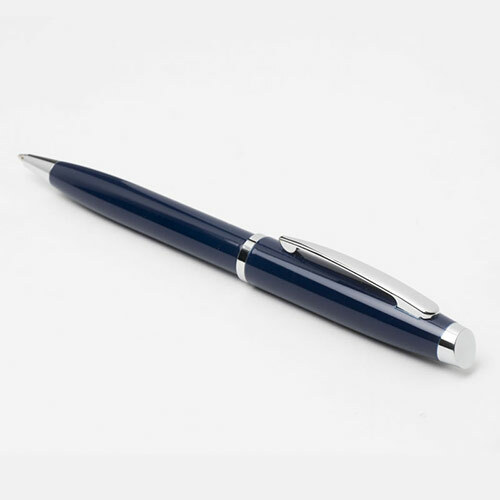 They have a blue ink Parker style cartridge and can be branded or personalised via engraving applied to the barrel. The engraving shows as silver, cutting through to the stainless steel body of the pen. 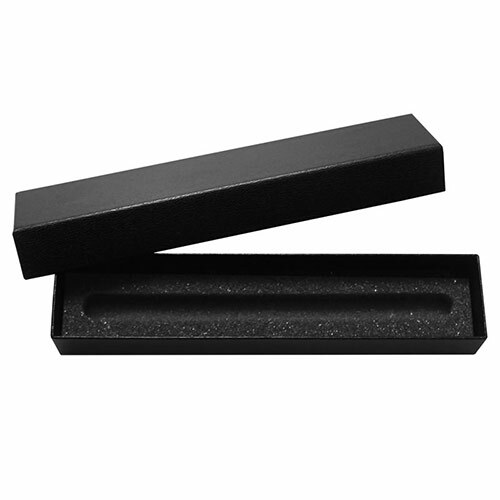 Supplied with a plain black foam-lined box.